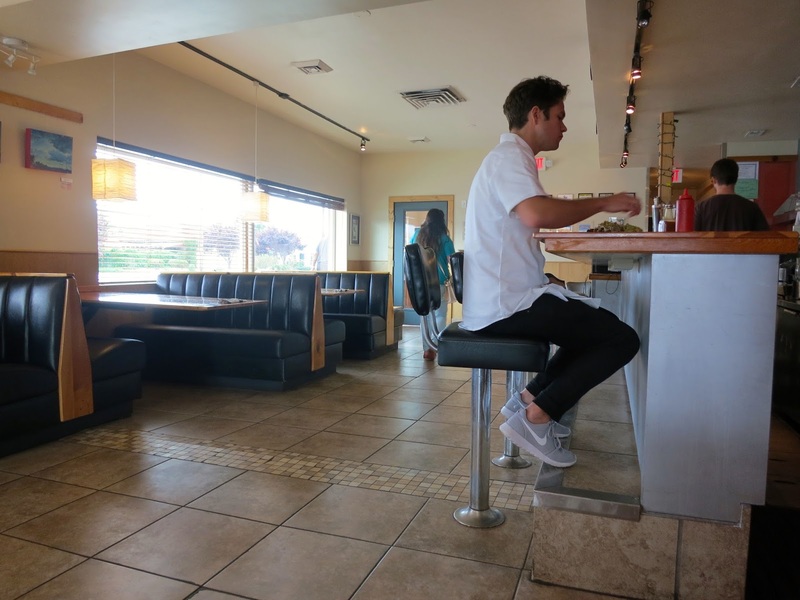 I flew into Salt Lake City on my way to Moab, Utah and wanted to meet a friend for lunch. 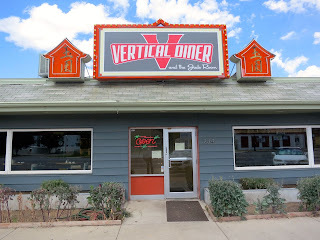 I looked for a new place and saw a vegan restaurant called Vertical Diner. Sooo....I thought I was going to a new place, but it turns out I was going to a place I'd already been to and didn't love. 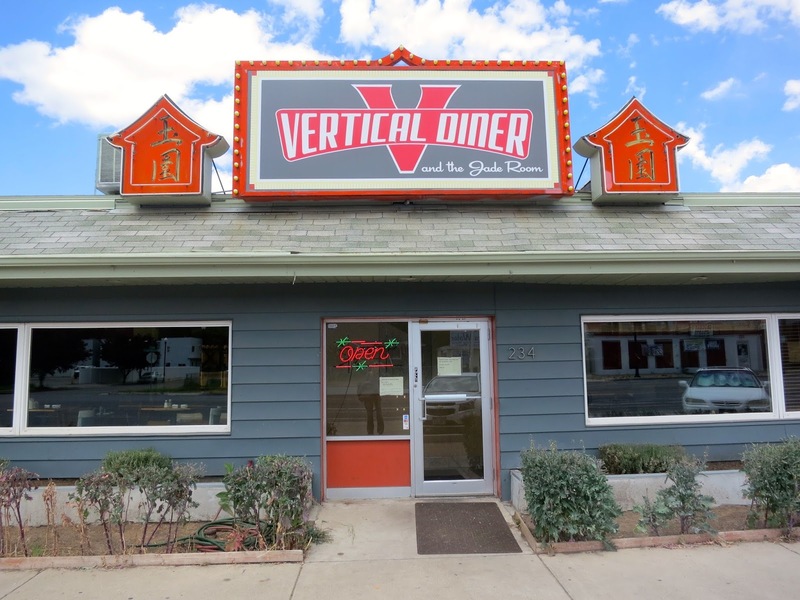 Vertical Diner turned out to be in the Sage's Cafe space and apparently Sage's moved down the street. But, both are owned by the same person. Well since we were already here, why not give it a try?! What I don't love about this place is the stale atmosphere--I guess it's sort of a diner atmosphere, but feels very stale with its dark lighting, dark black cushioned seating and wooden tables. 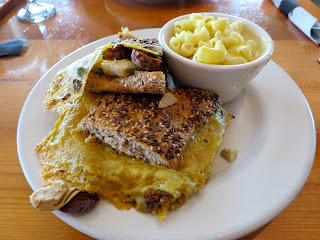 I ordered the Tempeh Cubano, which had blackened, crunchy tempeh on seeded bread with pickled jalapeno, olives, capers, artichoke hearts, tomato, brown mustard, and melted "cheese." I loved it! The cheese was definitely nutritional yeast based and all the flavors meshed together so well. I didn't, however, love the mac and cheese. It had no flavor at all. So, that was a fail. 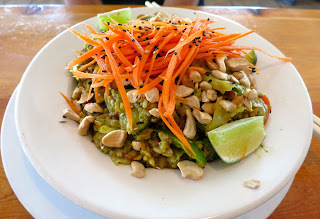 My friend ordered the Magical Wok sesame coconut curry with sauteed vegetables and toasted cashews. It was very good. At $14 for the curry and $10 for the sandwich, this isn't the cheapest place to eat in SLC, but I must say we were impressed with our meals. The mac and cheese left a lot to be desired, but that sandwich and curry were great. I'm sure I'll be back again soon.